Proud Moment for Punjabi Cinema !!! Exclusive - Punjab 1984 achieves the biggest 1st day gross of Rs 1.41 crore in India and crosses Jatt and Juliet 2 by a margin of 4 lacs. 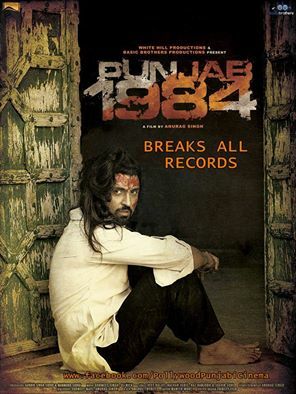 Punjab 1984 now has the biggest opening in the history of Punjabi Cinema. Punjab 1984 Team are deeply humbled and indebted to all viewers for supporting and loving them.Stay Blessed guys !!! We congrats whole team of Punjab 1984 and wishes gud luck for future.